The manufacturer of the seat has been conducting tests to ensure the escape system works reliably and safely in all planned conditions. In a recent test, analysis identified an unacceptable risk of neck injury during parachute deployment/opening for lighter-weight pilots at low-speed conditions. The requirement is for the seat to be certified for any pilot weighing between 103 and 245 pounds. An unacceptable level of risk was discovered for pilots weighing less than 136 pounds. There is also an elevated level of risk for pilots between 136 and 165 pounds. While the probability of an ejection in this slow speed regime remains very low, estimated at one in 100,000 flight hours, the risk of a critical injury is higher than legacy fighter ejection seats. 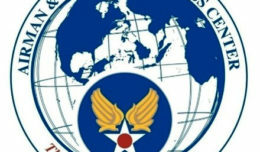 Air Force officials are accepting nominations for the Air Force Association Outstanding Air Force Civilian Employee of the Year. Organizations and base-level personnel must contact their major command, field operating agency or direct reporting unit for applicable suspense dates and additional information regarding nomination procedures. Each major command, combatant command, field operating agency and direct reporting unit may nominate one person for each category. 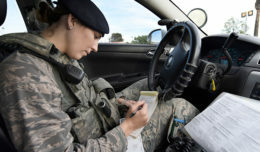 Completed nomination packages are due to the Air Force Personnel Center by Jan. 8. Operation Homefront leads more than 2,500 volunteers nationwide who provide emergency and other financial assistance to the families of service members and wounded warriors. The eighth annual awards will recognize six outstanding young people ages 8 to 18 to represent the Army, Marine Corps, Navy, Air Force, Coast Guard and National Guard for their scholarship, volunteerism, leadership, extracurricular involvement and other criteria while facing the challenges of military family life, officials said. On average, they added, previous recipients have had at least one parent deploy for 18 months or longer and have relocated at least five times due to a parent’s military assignments. The six awardees will receive $10,000 each and a laptop computer and other donated gifts, and they will be flown with a parent or guardian to Washington, D.C. for an April 14 gala, during which senior leaders of each branch of service will present the awards. President Barack Obama announced at the White House Oct. 15, that he will keep U.S. troops in Afghanistan through 2016 and a lesser number into 2017 to sustain coalition efforts to train and strengthen Afghan forces. Joining Obama at the podium were Vice President Joe Biden, Defense Secretary Ash Carter and Marine Corps Gen. Joseph Dunford Jr., the chairman of the Joint Chiefs of Staff. As part of a four-step plan that he said would best ensure lasting progress in Afghanistan, Obama said he would maintain the current posture of 9,800 troops in Afghanistan through most of 2016. Rather than reduce troop levels to a normal embassy presence in Kabul by the end of 2016, Obama said the U.S. will maintain 5,500 troops and a small number of bases, including at Bagram Airfield and Jalalabad Airfield in the east and Kandahar in the south. The mission in Afghanistan will not change, the president said.